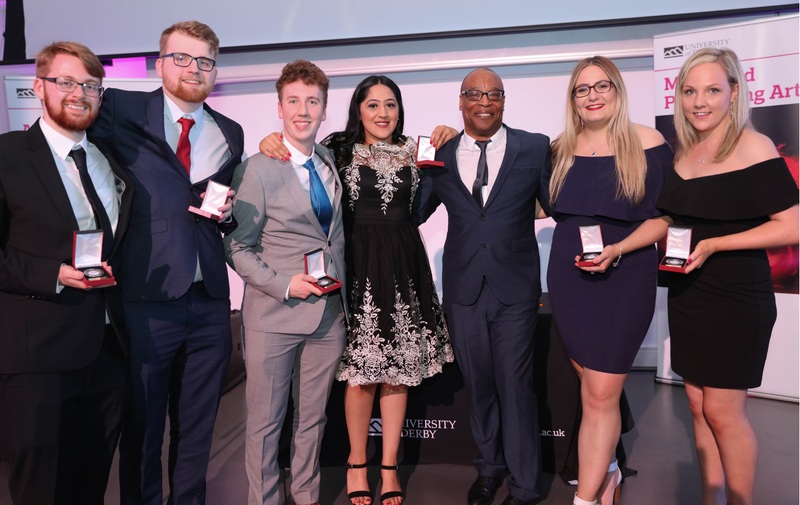 Film festival screenings and even a move to LA could be on the cards for our award-winning Film and Media Production students after three University of Derby films won four awards at the Royal Television Society (RTS) Midlands Student Awards. 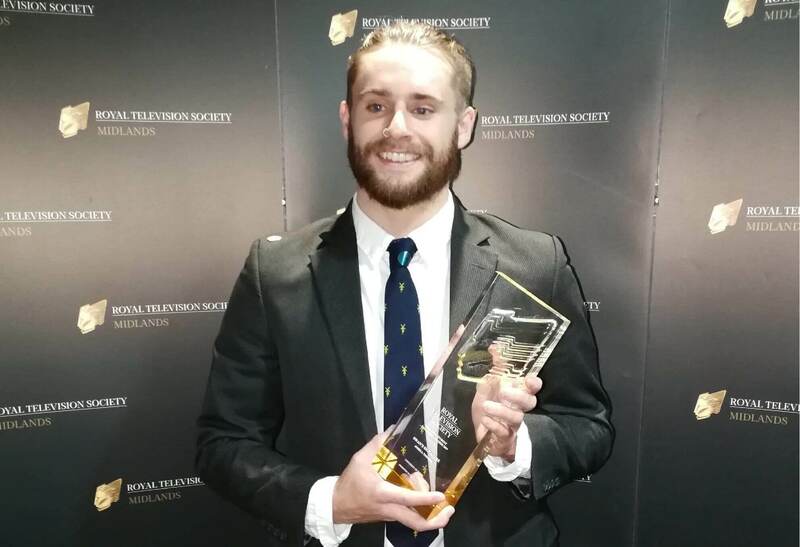 Jack Barrie (BA Film Production) has big plans after Meatball, the comedy horror film he wrote and directed, won two awards at the RTS event. He could be moving to La La Land. Jack’s film features an amusing character known as ‘Meatball’ who meets Ivana, a mysterious woman who feasts on the flesh of men. For Jack, finding the right team was key to his success. “Casting was crucial, and we had a great number of submissions for Meatball. We had a phenomenal crew that we handpicked from our course, which ultimately led to the film being as successful as it was. Our lecturer, Nick Whitfield, was crucial to the shaping of the story and solidifying the character arc. The Meatball team was: Jack Barrie, Cal Brown, Charlotte Glasgow, Celine Woodburn, Ben Evan. A chance meeting on Joshua Timmins’ first day of University was the inspiration behind his film, Swans Signature. Joshua explains: “I was walking along a terraced street when I happened to glance into one of the windows. It was there that I first saw John painting in his front room. The front door was open, I knocked, walked in, and asked if he’d be interested in making a film about art. It wasn’t until then that I realised he was profoundly deaf. John offered me a cup of tea and we started planning out our first film ‘Butterfly Cry'. 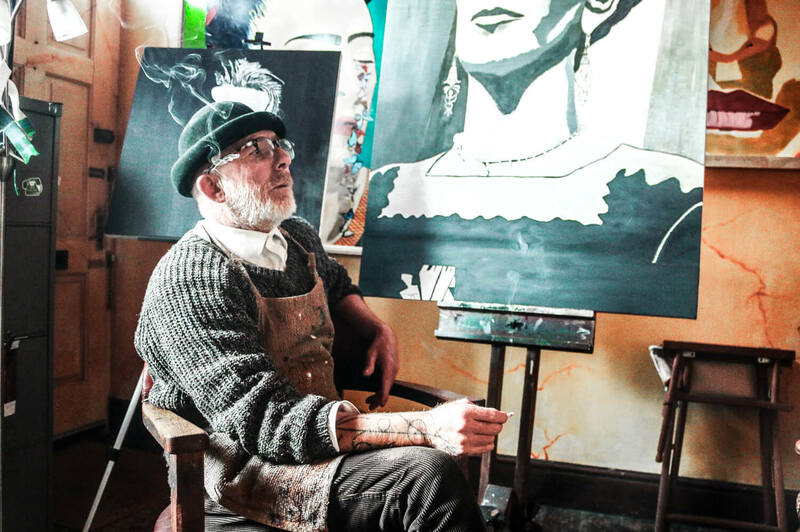 Swans Signature is a documentary about artist John who regained his hearing after 18 years of being profoundly deaf. Hearing again has not only opened up his world, but also heavily influenced his style of painting. It won the award for Craft Skills – Camera. 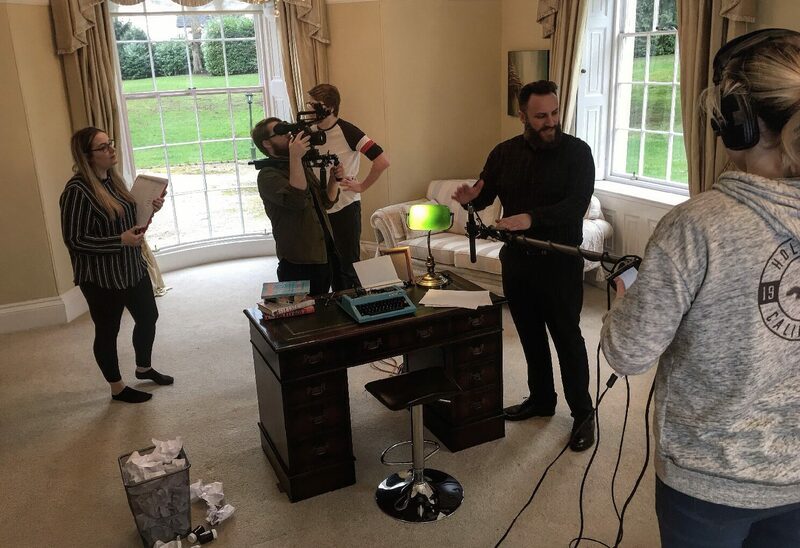 Joshua and John are now in the process of making their third film about where John is in his life at the moment. 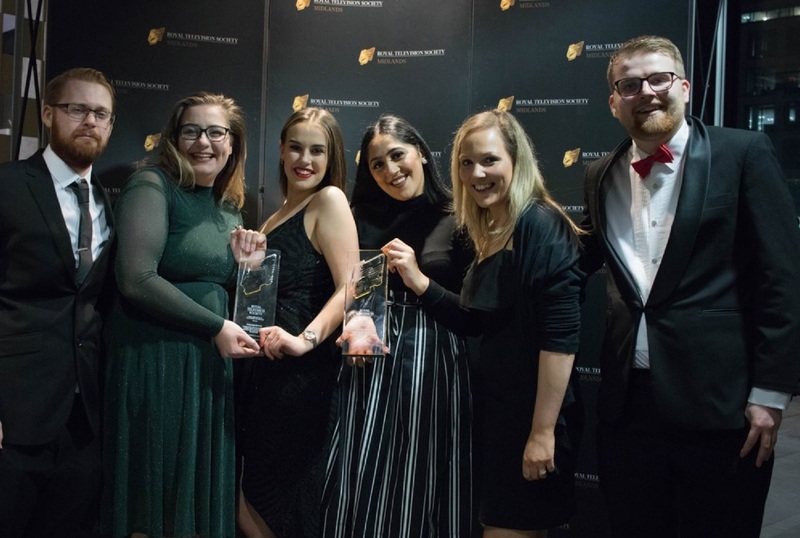 Sabrina Bal and Kristen Jennings (BA Media Production) are hoping that their winning film, Writer’s Block, will feature in film festivals this year and are looking for further recognition and feedback. Writer’s Block is a psychological thriller about a writer attempting to complete a novel while suffering from writer's block. Throughout her journey, some unwanted guests make an appearance, making it harder for her to reach her end goal. 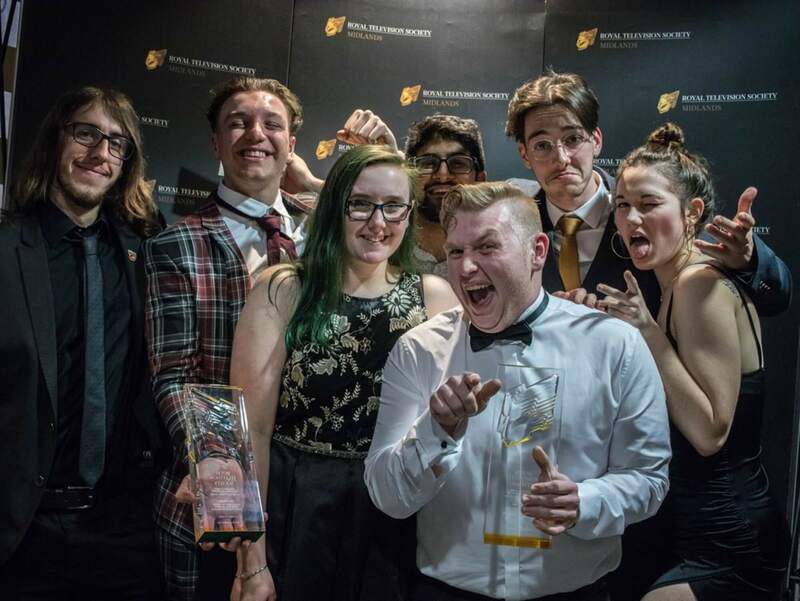 The Writer’s Block team was: Sabrina Bal, Kristen Jennings, Joshua Rout, Kate Seeley, James Fuller, Natalie Afshin Kia, Gianni Basi. 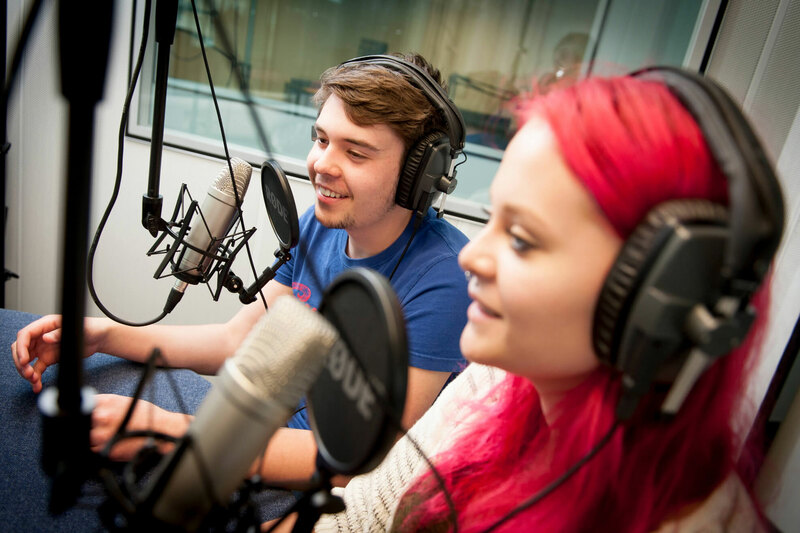 Want to gain the skills to succeed in the fast-paced and ever-changing film and media industry?